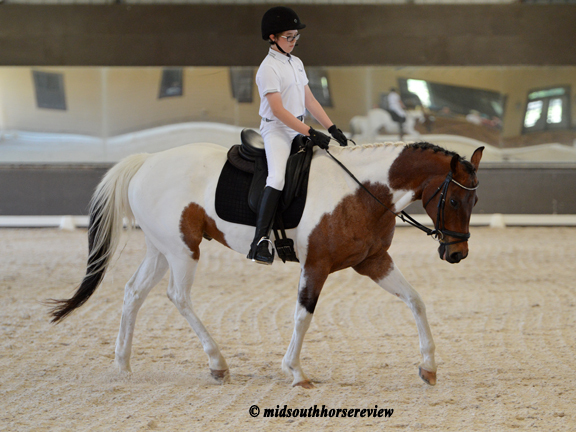 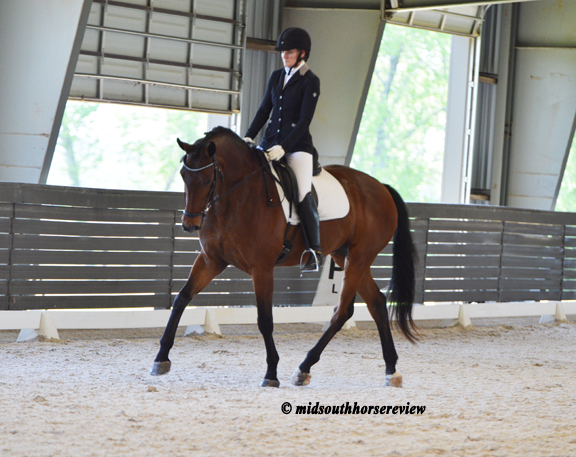 It really was spring time in Hernando, Mississippi for the Mid-South Dressage Academy (MDA) USDF show on May 5-6, 2018, with warm temperatures – albeit intermittent rain on Saturday. 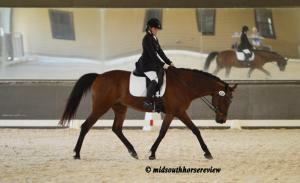 Owner Elizabeth Clifton welcomed back judge Maryal Barnett, whom she says is a favorite, and TD Michele King. Entries were up and the show attracted quite a few “out of towners.” Elizabeth commented on the good weather and the overall delightful show atmosphere. 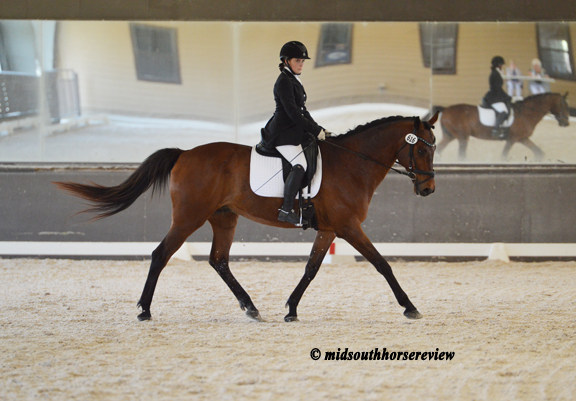 Kim Gentry brought three horses to the show: Frasier, Leonardo, and Fine Art, who scored 73.415% in Second Level Test 3 Open. 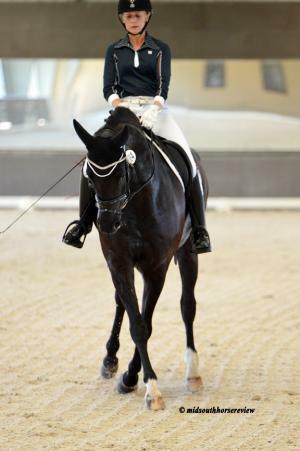 Leonardo won the FEI Grand Prix and Grand Prix Freestyle with a score of 70.900%. Frasier was first in FEI Prix St. Georges, scoring 68.529%. 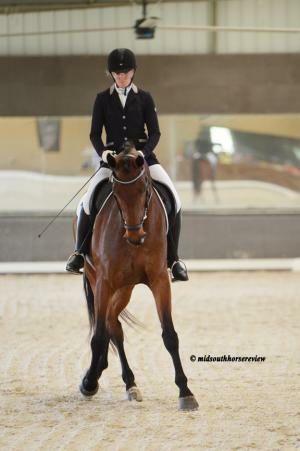 Alexandra Du Celliee Muller also brought three horses, with Imperial WRF scoring 75.000% and 75.909% in his two rides in Training Level Test 3 Open. Rumba was first in FEI Prix St. Georges Open with 67.500% and first in FEI Intermediate Open with 71.176%. 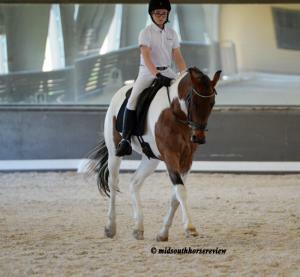 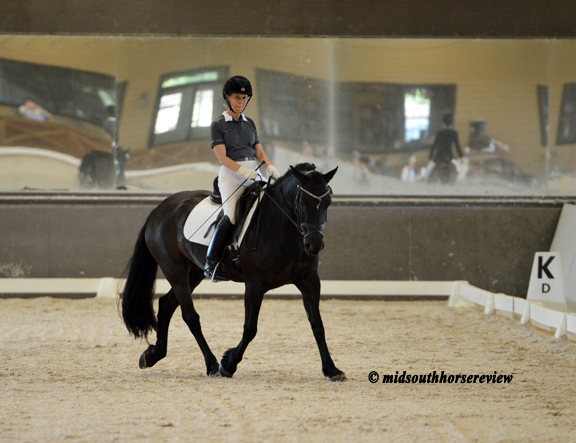 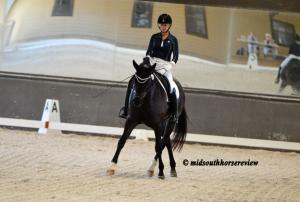 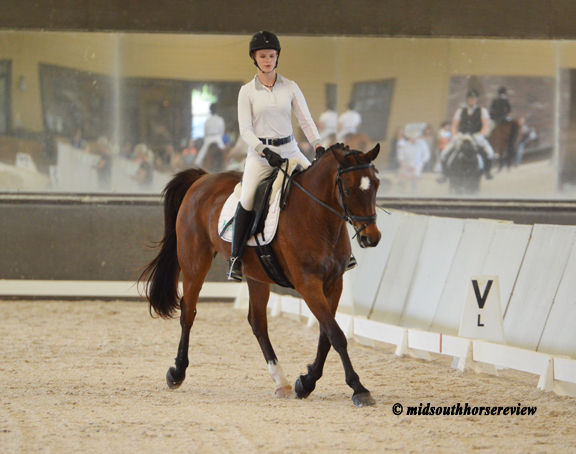 And Sorja Rc performed well in Training Level Test 3 Open, scoring just shy of 70% at 69.091%. 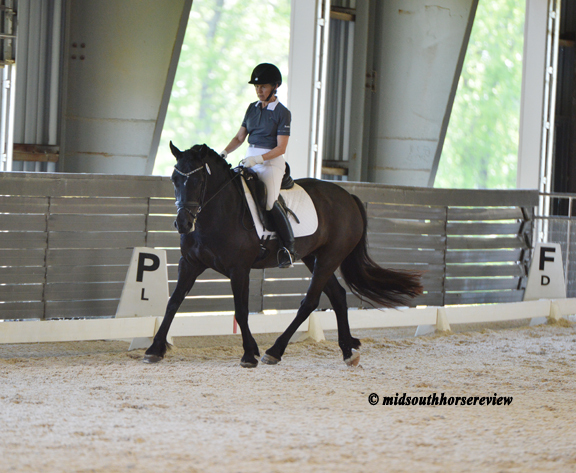 Kathy Massey did well with North Fork’s Lady Zoe, who looks like a miniature Friesian, in the Training Test 1 – PONY Adult Amateur, scoring 66.739% on Sunday. 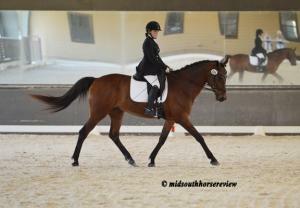 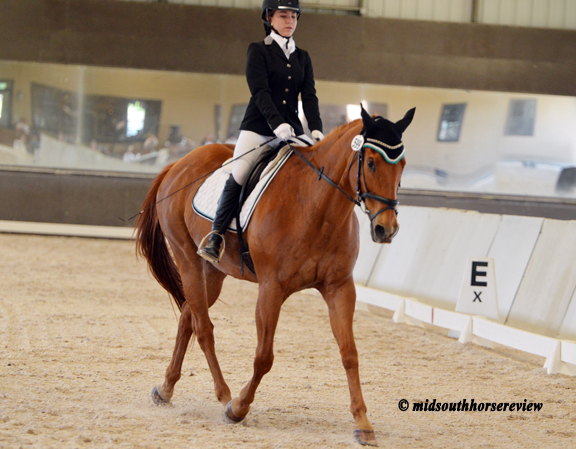 Caitlyn Massey scored an astounding 81.000% in Dressage Seat Equitation on her Zassafrass on Saturday. 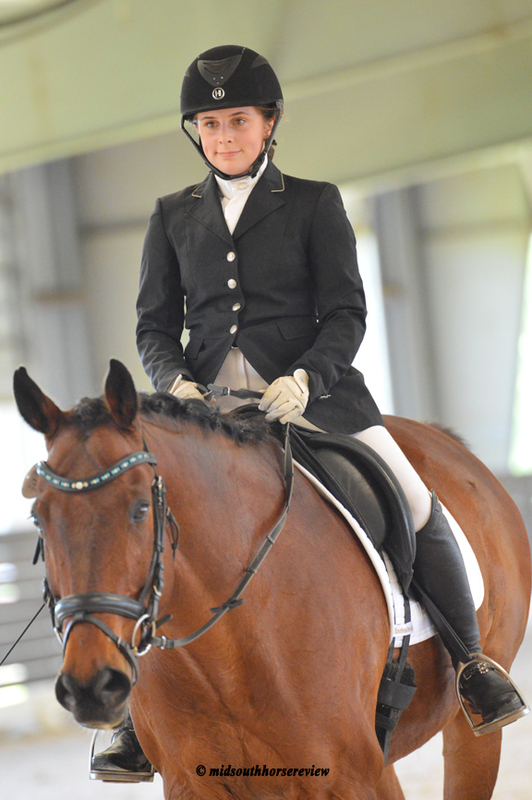 The pair also showed in Second Level Test 3 Jr/YR, scoring 64.268% on Saturday and 68.415% on Sunday. Full results of the show are available at www.foxvillage.com.